Classic Lasagna recipe is like the little black dress, it will never go out of style and will always make you happy. 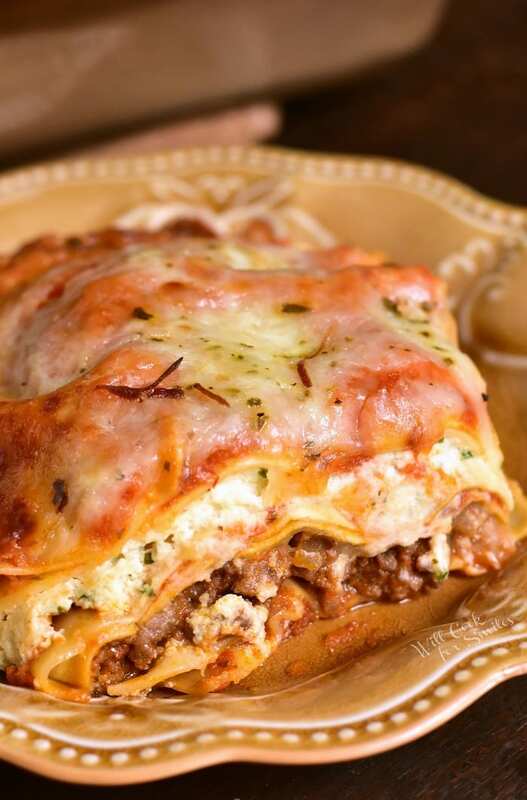 Enjoy layers of ground beef, pasta, ricotta cheese mixture, easy homemade marinara sauce, and more cheese in every bite. 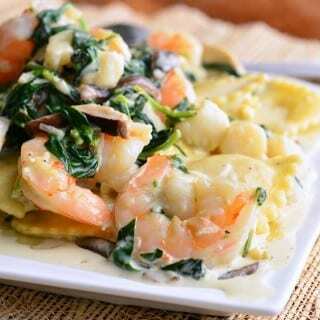 There are a few classic Italian dishes that are popular with just about everyone in the states. 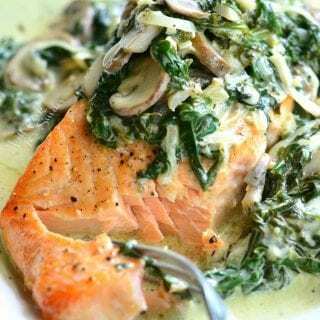 It’s a perfect sit-down dinner dish to share with family and friends. Comforting flavors of homemade tomato sauce, pasta, cheese, and beef makes every bite a delight. 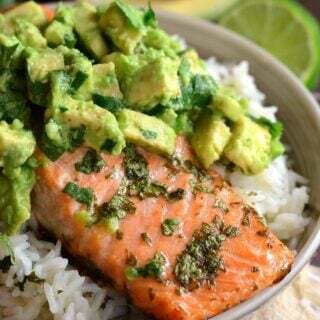 It’s a wonderful weekend dinner. This lasagna is amazing. Even though I don’t come from an Italian family, out of every lasagna I tried in an authentic restaurant, mine is still the best. I am yet to find one that comes close to mine. It could be because the most important ingredients are missing, love in care. Love translates into every ingredient that you choose when cooking for your family and every step you take to prepare it. When choosing pasta noodles, I recommend using oven-ready ones. It will be much easier and cut down on cooking steps and time. While layering pasta, have the sheets overlap by 1/2 to 1/4 inch. Remember, you can also break apart some pasta sheets in you need to cover small corners and gaps. Choose 85/15 meat to fat ratio of ground beef. It will result in a juicier and more tender beef layer. When possible, make your own marinara sauce. 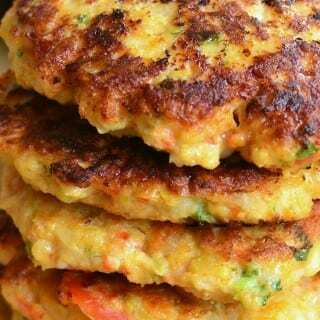 It’s easy and it will make the world of difference in the taste. Marinara sauce can be made ahead of time or even frozen. Make sure to spray one side of aluminum foil with some spray cooking oil and cover the baking pan oiled side down. That will prevent cheese from sticking to the foil when you pull it off. Yes, lasagna can absolutely be frozen and here is how to freeze lasagna. 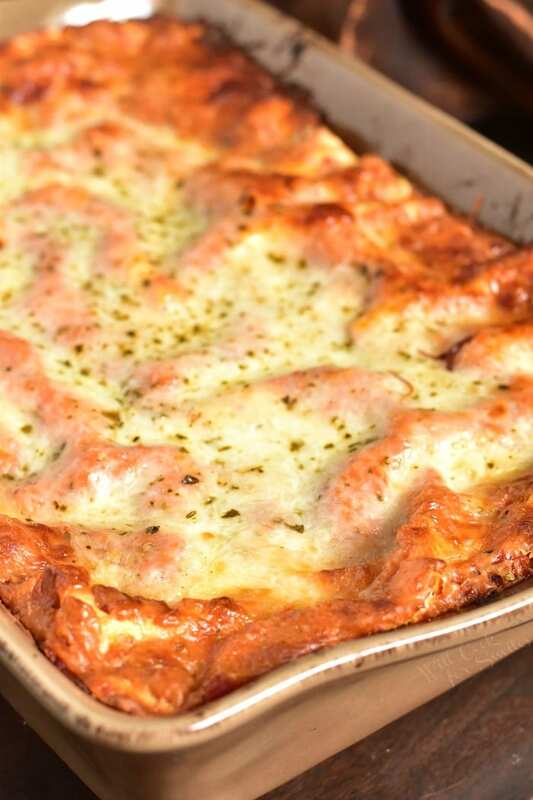 If you are planning on freezing your lasagna, use an aluminum baking pan to prepare it. Use one 9×13 baking pan or two half the size. Cook your ingredients and put it together in the pan right up until the baking step. Instead of baking it, freeze it. Make sure to wrap the container as tightly as possible. Properly stored, lasagna can last up to 6 months in the freezer. 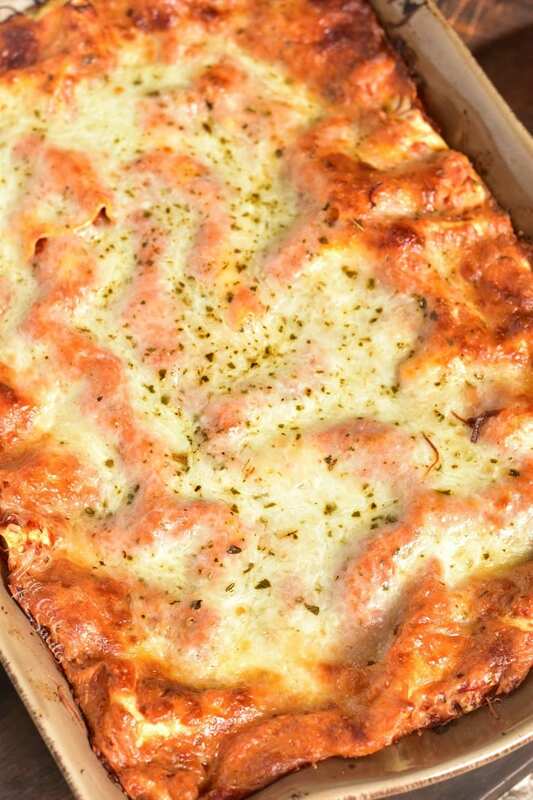 To thaw lasagna, pull it from the freezer into the refrigerator and slow-thaw it there for 10-12 hours. Bake as directed in the recipe but increase baking time under foil by 15-20 minutes since the lasagna will be cold going into the oven. 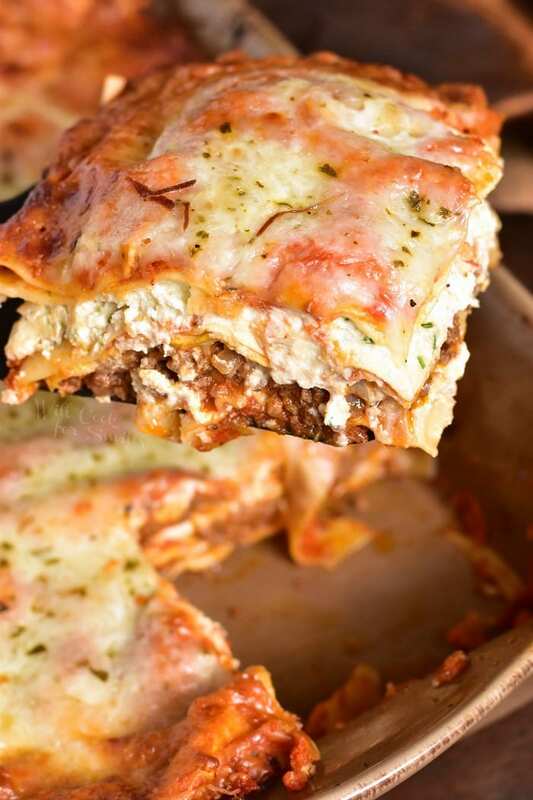 This is an amazing lasagna recipe featuring the classic beef, ricotta, and pasta flavors made with homemade marinara sauce. Preheat oven to 350 and grease 9x13 casserole dish. Add oil and saute diced onion until transparent. Add ground beef and cook, breaking up all the lumps, until just done. Season with salt, pepper, and oregano. Once the meat is just done. 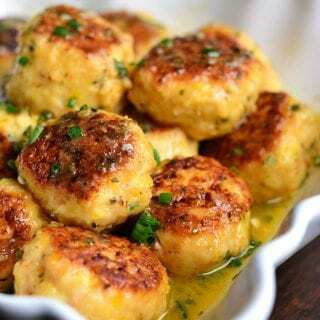 Mix in 1 1/2 cups of marinara sauce and 1/3 cup grated Parmesan cheese. Set aside. Combine all ingredients for the ricotta layer in a mixing bowl and mix very well. Set aside. Spread 1 cup of marinara sauce over the bottom of the casserole dish. Make sure it's spread evenly. Layer lasagna noodles in one even layer. I like to overlap the pasta sheets just a little bit, 1/2 to 1/4 inch or so. Spread beef mixture over the pasta sheets evenly. Spread 1 1/2 cups of shredded Italian cheese mix. 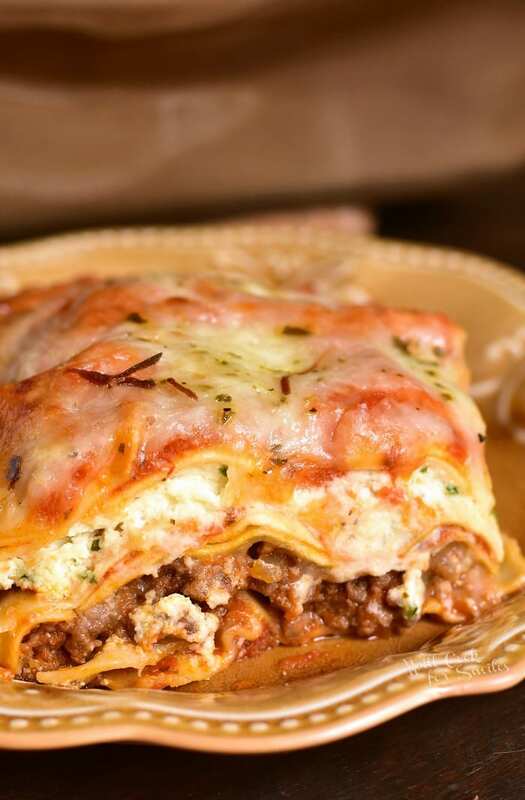 Layer lasagna noodles in one even layer. Again, you can overlap the pasta sheets just a little bit, 1/2 to 1/4 inch or so. 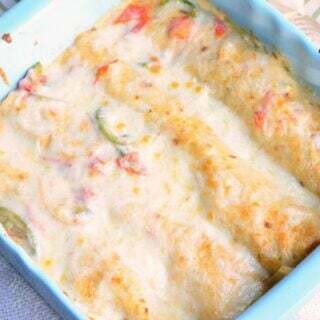 Spread 1 cup of marinara sauce over pasta sheets evenly. 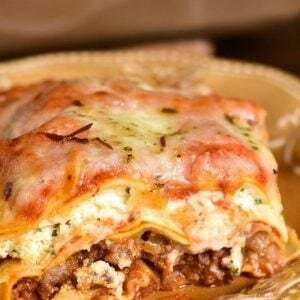 Layer lasagna noodles in one even layer. Overlap the pasta sheets just a little bit, 1/2 to 1/4 inch or so. Spread 1 cup of marinara sauce over pasta sheets, evenly. Spread 1 1/2 cups of shredded Italian cheese mix over the sauce evenly. Spray one side of aluminum foil sheet with cooking spray and cover the casserole dish with foil, oiled side down. Bake covered for about 35 minutes. Take off the foil and bake for another 10 minutes. Hubby and I just loved this! Thanks for the delicious recipe!